Those residing in the West could have probably heard of this popular Boneless Duck Noodles in Boon Lay Village Hawker Centre. Although I have known of its existence over the years, I could not remember that I have ever tasted their duck noodles. Most of the time, they were already sold out when I was there. Thus during the last round, we took much effort and arrive the place around 7am. That was not really early as queues were already formed up on such early Sunday Morning. 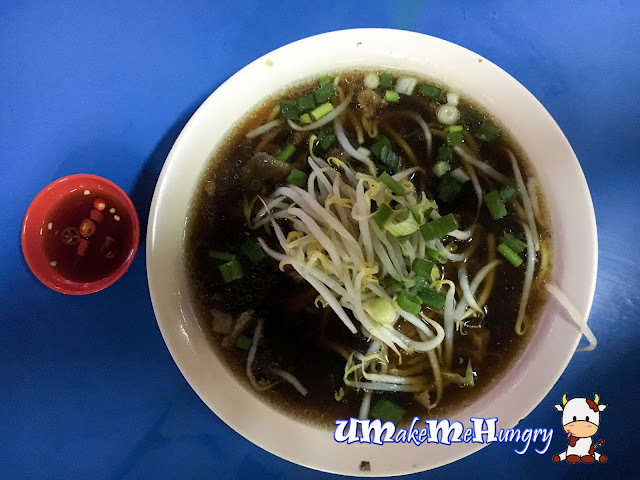 For the soup version, we all like about it herbal soup taste that brings up the bowl of noodles besides their generous ingredients. 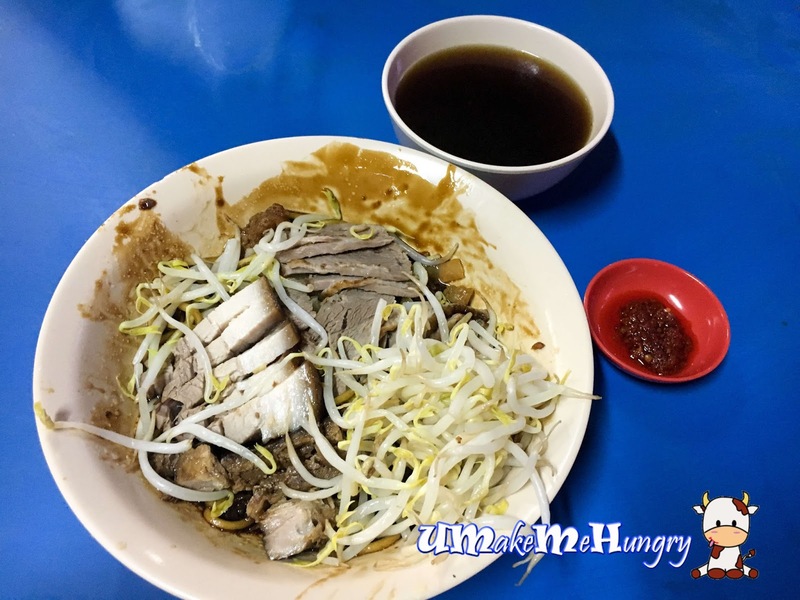 I would say this is a value for money portion with owner not only generous with its serving of crunchy bean sprouts on the noodle but also the amount of noodle and duck meat. The braised sauce in the bowl is not starchy and in fact the experience of having the duck noodles were pretty delightful. 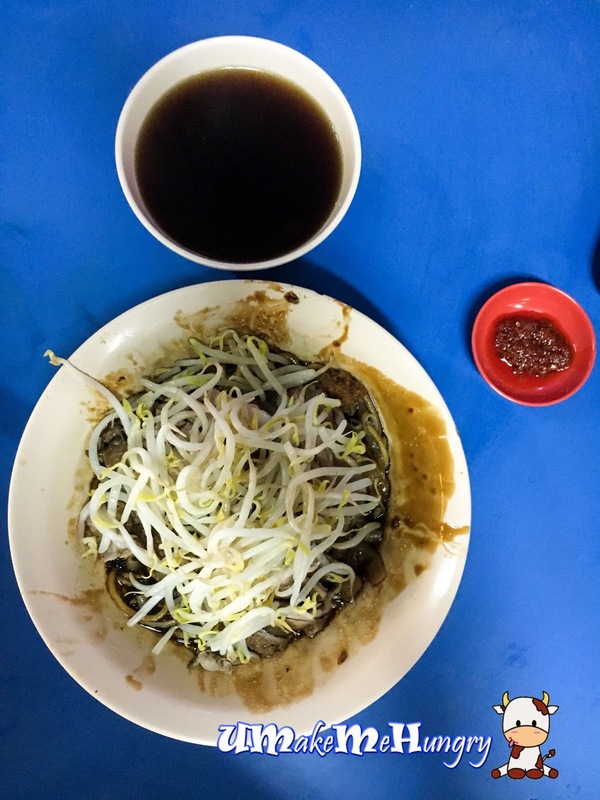 The duck meat is known for its succulency and does not bring along any gamey taste. 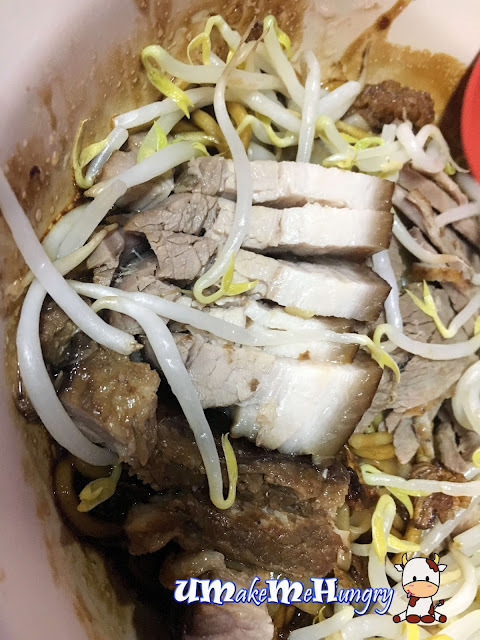 I had tuck the handful of beansprouts aside to reveal the chewy and soft duck meat with some braised meat add on at additional cost. The braised meat is also another worthy item to comment on. It has the kind of traditional braised taste and each layer of the belly meat was so distinctive. Best of all, it was not oily. 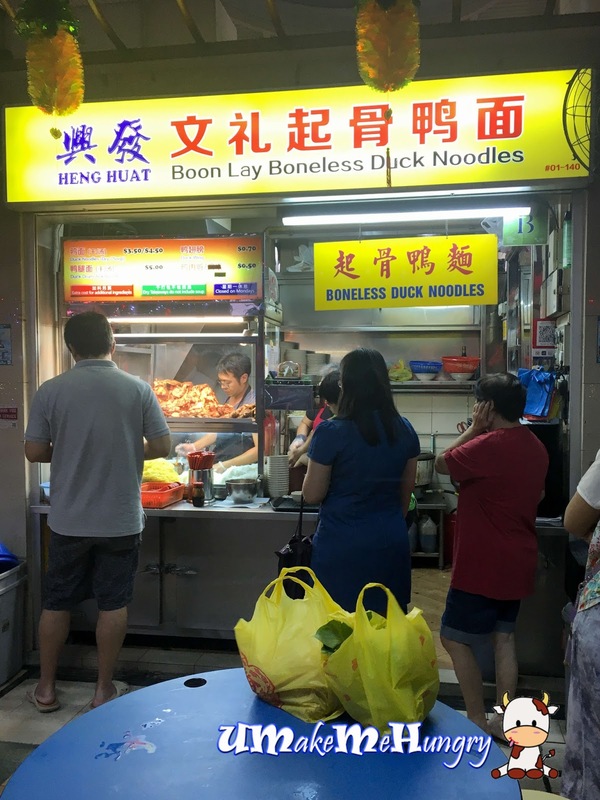 So its popularity speaks truly based on the taste and experience I had from the bowl of Boneless Duck Noodles.